There is no doubt that dealing with infertility is a distressing and mentally taxing experience. From the frequent doctor appointments with gynecologists and fertility specialists, to the constant feeling of the unknown. Will I ever be able to start a family? Will I be able to get (and remain) pregnant? Will infertility affect my relationship with my partner? These are all common and completely normal questions that have, at some point in time, crossed the minds of the many women who struggle to conceive. 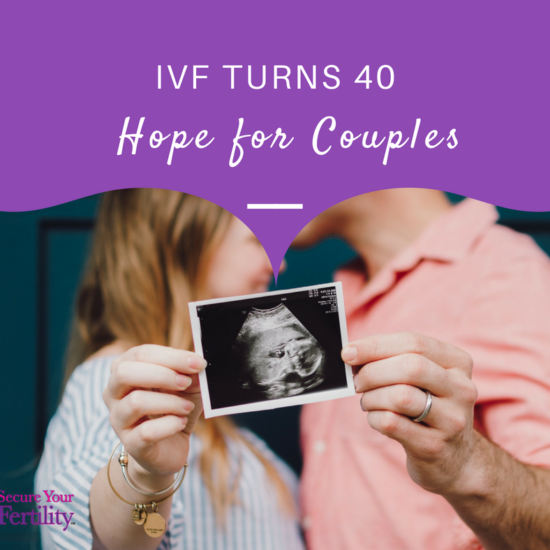 The hard truth is that infertility inevitably comes with waves of different emotions, and those emotions are healthy–as long as you maintain a POSITIVE outlook. You see, the whole biological process of becoming pregnant and conceiving is made possible by various important factors in a female body–hormones being one of them. They rise, they drop–and we feel it all. In addition to the fact that they alter your moods with a snap of a finger, the mental process of navigating your infertility path is stressful in itself. Combine the two and you get an overwhelming lack of self-esteem, depression, and anxiety. These are all feelings that almost every woman struggling with their fertility has experienced. When the thought of starting a family seems unattainable, it’s difficult to listen to the positive advice of others. Yet, there is good news: you are NOT alone and there IS light at the end of the tunnel. Yes, infertility can wreak havoc on your life, but only as much as you let it! There are so many fertility treatment options at your disposal. Through advances in technology and thorough education on infertility, women are able to try out and choose a variety of options. Dr. Jerisa is a perfect example of why giving up should NEVER be an option. She had walked in the same shoes as the patients that she helped, struggling with infertility and longing to start a family. Dr. Jerisa chose the route of surrogacy. Now, she is expecting her beautiful first child in July. Of course, every woman is unique, and finding the right infertility treatment for you is not only an important decision, but may take some experimenting. We want to make sure you are aware of all your options. In surrogacy, a woman helps intended parents and singles to start a family by carrying a child to term.There are actually two types of surrogacy options: gestational surrogacy and traditional surrogacy. With gestational surrogacy, the woman carrying the pregnancy is not biologically related to the child she carries. This is because the eggs and sperm are taken from the “intended parents”–or an egg/sperm donor–through the process of IVF. This kind of biological connection is often important to parents. A traditional surrogacy is when the woman agreeing to carry the child donates her own egg, therefore remaining genetically linked to the baby. IVF is the process of extracting eggs from a woman, retrieving a sperm sample, and combining the two in a laboratory dish. The embryo is then transferred to the uterus. 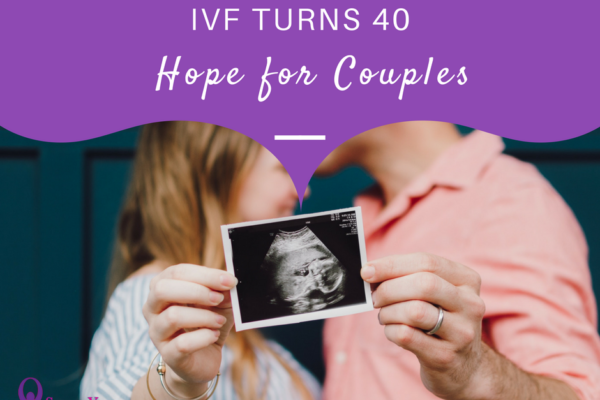 It is noteworthy that not everyone has success with IVF. It may take a number of tries and a comprehensive infertility evaluation is required. If your male partner’s sperm count is low, or if a woman’s fallopian tubes are severely damaged–this is an immediate possible option. Some women choose IVF over surrogacy because they want to carry their child in their own bodies. Regardless of preference, remember that the goal is starting a family–no matter what! We often see celebrities adopting children from across seas in magazines and on the news. Some families struggle with infertility, some families want to make a difference in a child’s life, and some just feel it is the right option. The process of adoption can take a while, but there are testimonials that it’s WORTH the wait. Some parents want biological ties to their child, or have a hard time connecting with the adopted child, which is why this option can sometimes be overlooked. However, if you are looking to open your doors, regardless of backgrounds or genetics, and raise a child as your very own: adoption might be the option for you. The reality is that in a woman’s late 20s, fertility, egg quantity and quality begin to decline (sometimes even earlier!) The count continues to decrease during the mid-30s. Naturally, every woman is different. Some may have a healthy egg count and quality, and some women might need some assistance. As a female, there is often an inherent pressure to start a family right away. While starting a family is an incredible, priceless journey–having children at the right time, with the right person does make a difference. This is why many women choose to freeze their eggs and wait. Maybe you aren’t sure you’re ready, maybe you’d like a back-up plan–a “baby insurance” policy. No matter the reason, know that there ARE WAYS to ensure you start a family–egg cryopreservation (preserving younger and healthier eggs) is an example. It can be a costly process, but one that might be perfect for you. Your Anti-Mullerian Hormone doesn’t fluctuate month to month–and can be taken ANY day of a woman’s cycle. It’s an incredibly useful tool in acquiring your personal fertility status. AMH is produced by the granulosa cells which surround each egg, and the blood levels are thought to reflect size of the remaining egg supply. In other words, a woman’s “ovarian reserve.” No one can predict the exact moment your eggs will decrease. With this tool, you can accurately see what your count is looking like, and begin to optimize your fertility. But, you won’t know unless you TEST. The sooner you do, the quicker you can TAKE ACTION. A woman’s overall health is also essential to fertility. Eating right and staying fit does impact your body’s ability to work stronger and more effectively–also it’s a good rule of thumb for general well-being and health. Ladies, do not let obstacles take away from the BEAUTY of life and FAMILY. While it is easy to fall into a negativity trap, there are ways to break the barriers and rise above. Remember, POSITIVITY is doubt’s worst nightmare! Never stop fighting for what you want, and always take the necessary measures to ensure your lifelong happiness–with your child by your side.